The branch oversees all 6 of the West Berkshire wards within Reading West:- Birch Copse (3 cllrs), Calcot (3 cllrs), Pangbourne (1 Cllr), Purley (2 cllrs), Theale (1 Cllr), Westwood (1 Cllr). All council seats in each of these wards are held by the Tories apart from Theale which returned a Liberal Democrat councillor, representing one of only four seats in West Berkshire to be held by non-Tories. 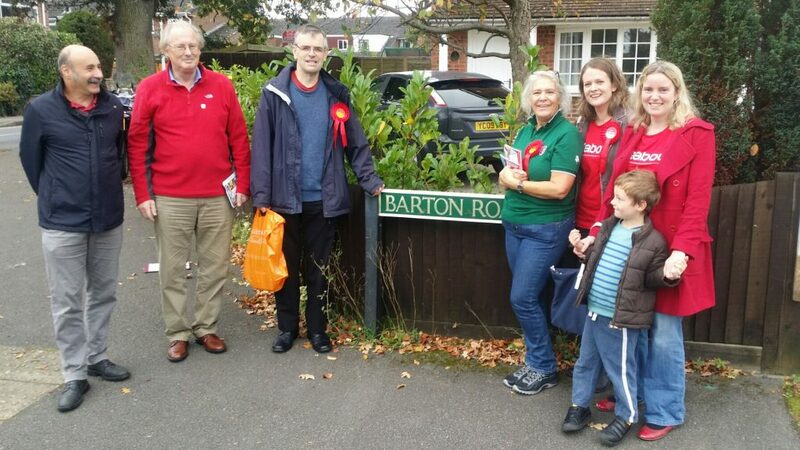 At the last district elections in 2015, we polled over 1000 Labour votes in Calcot & Birch Copse. These two wards are, by a significant margin, the best prospects for Labour gaining seats in the entire West Berks District. West Berkshire District has a population of approx. 120,000 with round 25% living in the Reading West Constituency. The six West Berkshire Wards in Reading West therefore home around 20% of the total population of Reading West. Furthermore, turnout in elections in West Berkshire is typically higher than the rest of Reading West and in the 2017 General Election almost 30% of votes cast in the constituency came from the six West Berkshire Wards. As a Branch Labour Party, we also work closely with the two Constituency Labour Parties making up the rest of West Berkshire District; Newbury CLP & Wokingham CLP. Moving forward we intend to run joint campaigns and establish a panel for the 2019 local elections. As with any RDLP Ward, Members living in West Berkshire are eligible for any seat within the Reading District. For example, in 2015 Kate Butler, a Newbury CLP Member, was one of our candidates in Calcot.